Check out Tobi's Eyes On You Knotted Maxi Dress Get showered in compliments all night in the Eyes on You Knotted Black Maxi Dress. This plunge drape dress has a sophisticated deep v neckline and tiny center knot. 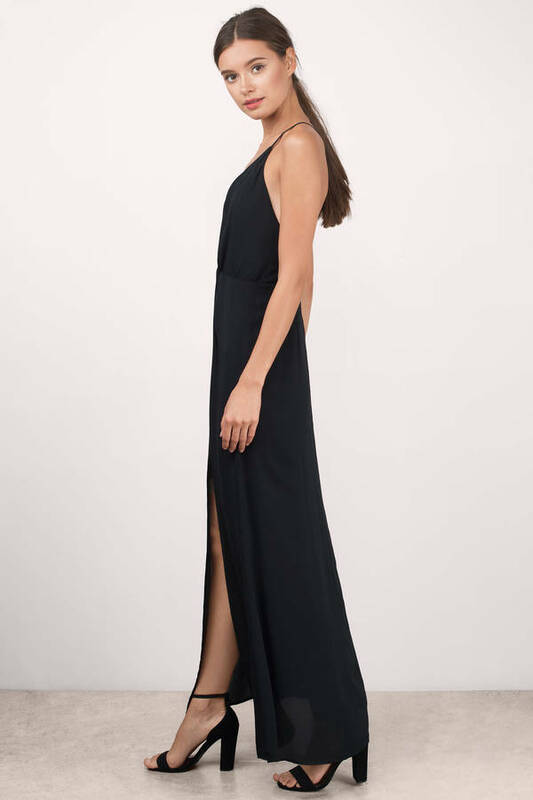 The center slit, dipped back and cross straps make for a front split dress you get can romantic with.